Dynamotive, a member of the ABB group, is a premium brand supplier of high-performance real-time control systems predominantly deployed to the automotive industry. Dynamotive supply test equipment and facility software to the major vehicle manufacturers and their suppliers in Europe, USA and Asia. Dynamotive uses LightningChart to present data from control systems in real time. They have built a solution around LightningChart to display and log data at multiple sample rates simultaneously and continuously. Sample rates vary from 1Hz to 50 kHz, screen refresh rates are adjustable up to 50 Hz which gives the user the information they need to make decisions concerning the process under control. The main benefit LightningChart has given to Dynamotive was to enable them to develop reliable and high-performance real-time data trending very quickly. 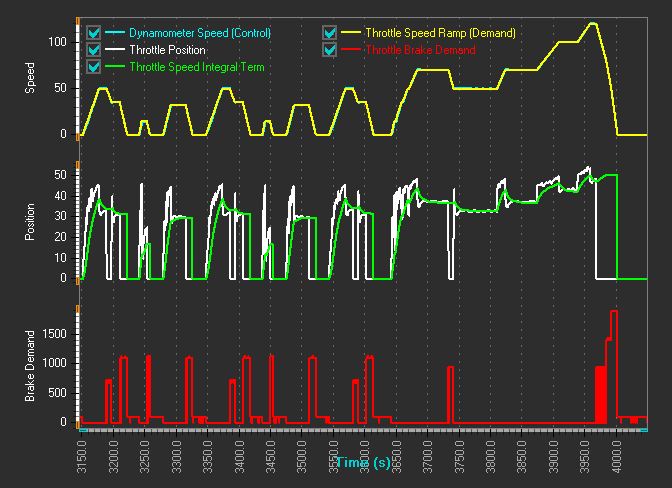 “As well as using LightningChart for high-performance real-time trending of data for our control systems we were able to construct a drivers aid application (enables drivers of vehicles to follow a road profile) in only 2 weeks, earlier implementations took months due to the need to try and obtain decent graphics performance, but with LightningChart excellent performance is a given.” Software Development Manager Poole describes.